It’s official: I am doughnut obsessed. Ever since I bought my doughnut pan and made these beauties, I am hooked. 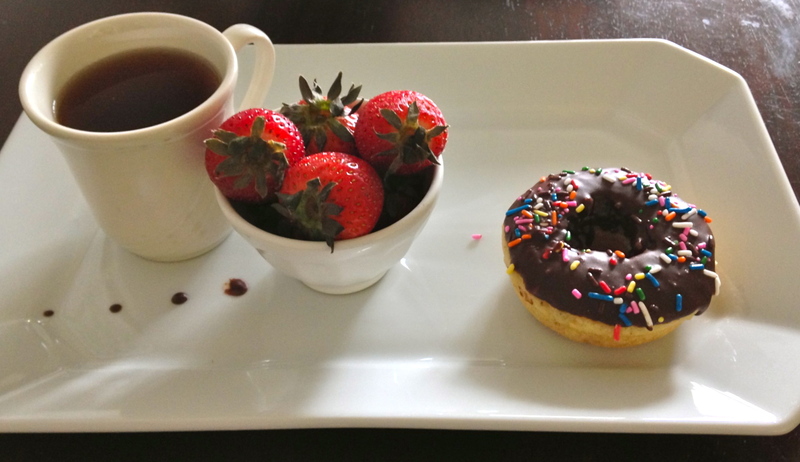 I can’t stop looking up doughnut recipes. There are so many amazing ones out there! But I am pretty sure this one from Joy the Baker might be the most amazing. 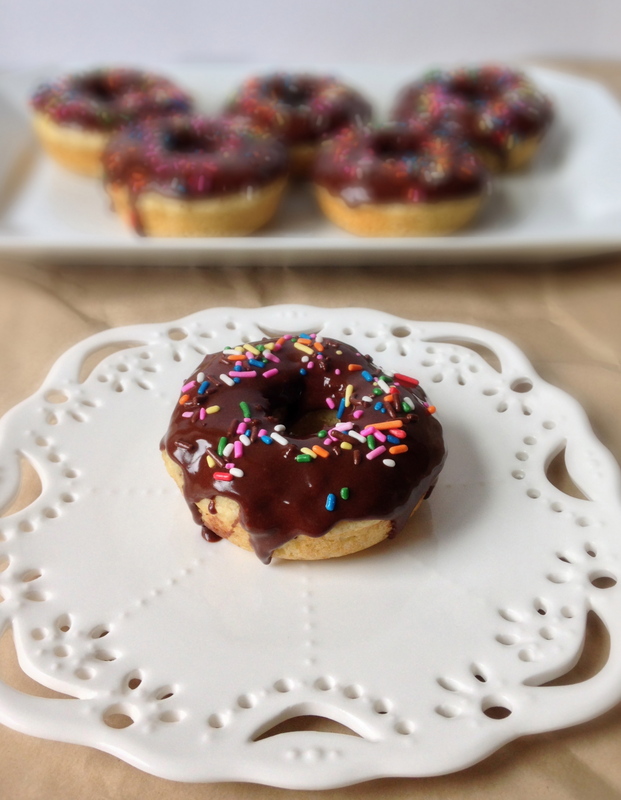 A brown butter doughnut with chocolate glaze. And sprinkles. OMG yes please! 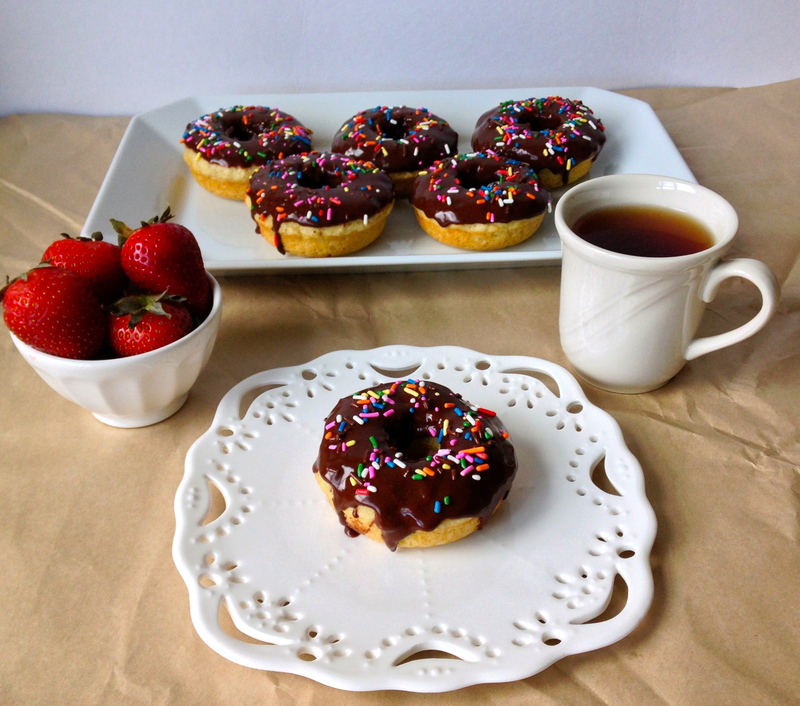 And is it fate that she posted this recipe the same weekend I bought my donut pan? I think so. I was meant to make these. I literally could not stop thinking about them all week, because I knew Saturday morning it was doughnut time. And wow, were these good. It was nearly impossible to photograph them before eating them. I literally had to fight TheBetterHalf to keep him away from the doughnuts. Fastest photoshoot ever. But luckily, these were an easy subject to photograph – I mean look at them! I must say, I was pretty impressed with myself. They look like doughnuts that you buy at the bakery! I think this might be one of my favorite things that I have ever baked. And that’s saying something! The doughnut itself tastes like brown butter and vanilla, an excellent combo in my opinion. Browning the butter takes an extra five minutes, but it is totally worth it. The nutty flavor is unbeatable! Plus I could smell brown butter all day – top 5 smells for sure (Ed. Note: She really keeps track of her favorite smells. It’s concerning). Other than browning the butter, this recipe could not be easier. 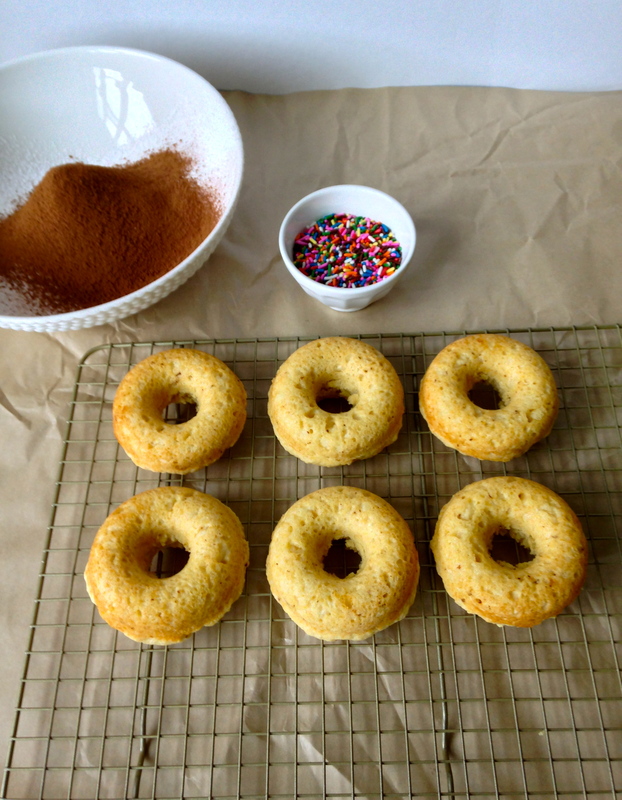 I hate to give away my secret, but baked donuts are really so easy! Joy’s recipe calls for buttermilk, which I didn’t have on hand, so I used a mixture of milk and yogurt – problem solved! Mix up the dough, spoon it into the pan, and bake for only 8 – 10 minutes. 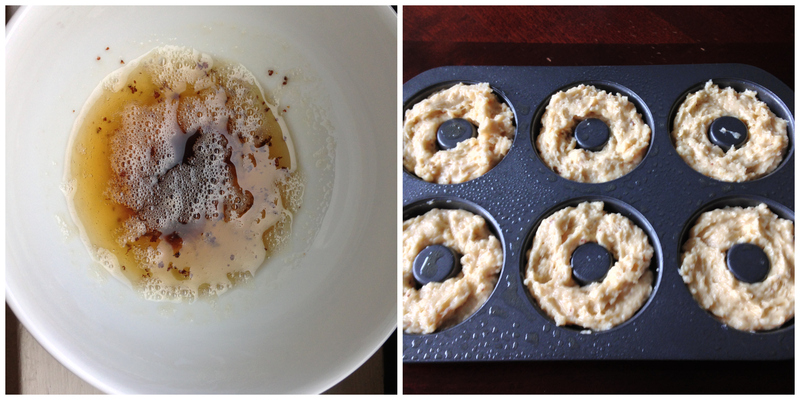 Browned butter and pre-baked doughnuts. Look at the specks of brown in that butter! Pure flavor. Then while the doughnuts cool (that’s the only hard part, waiting! ), make the chocolate icing. 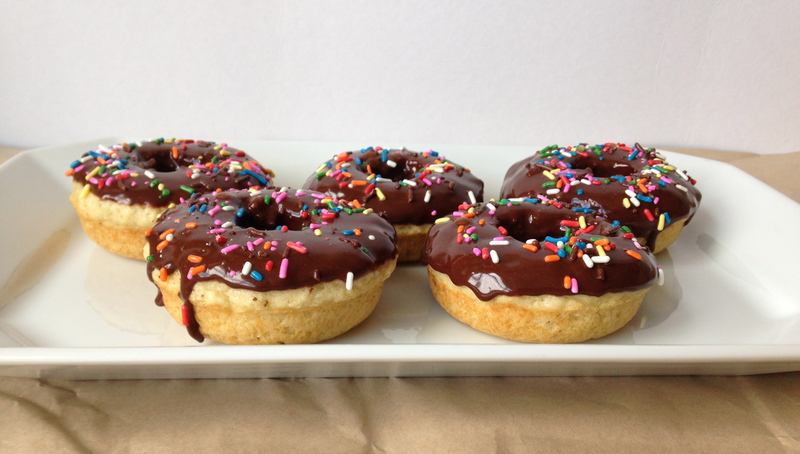 Dip the top of the doughnuts in the icing, then top with sprinkles or a topping of your choice. 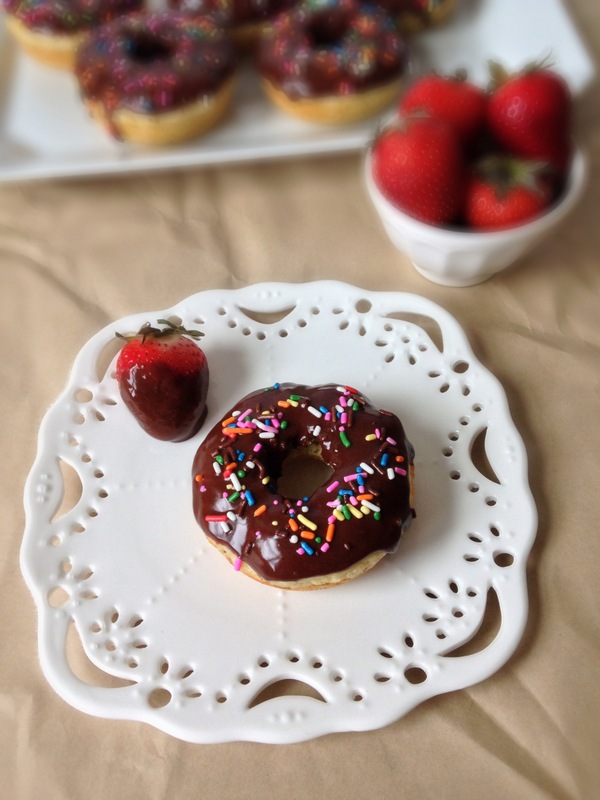 Prepare to amaze your family and friends (or yourself) with your perfect looking doughnuts! This recipe makes only 6 doughnuts, which is probably a good thing, because you will certainly finish all of them. Preheat oven to 350 degrees F. Grease a donut pan. In a medium bowl, whisk together flour, baking powder, baking soda, salt, and sugar. In a small bowl, whisk together egg, buttermilk (or milk + yogurt mixture), and vanilla. Whisk in 2 tablespoons of the browned butter. Add the wet ingredients to the dry ingredients, and stir until all ingredients are combined, but do not overmix. 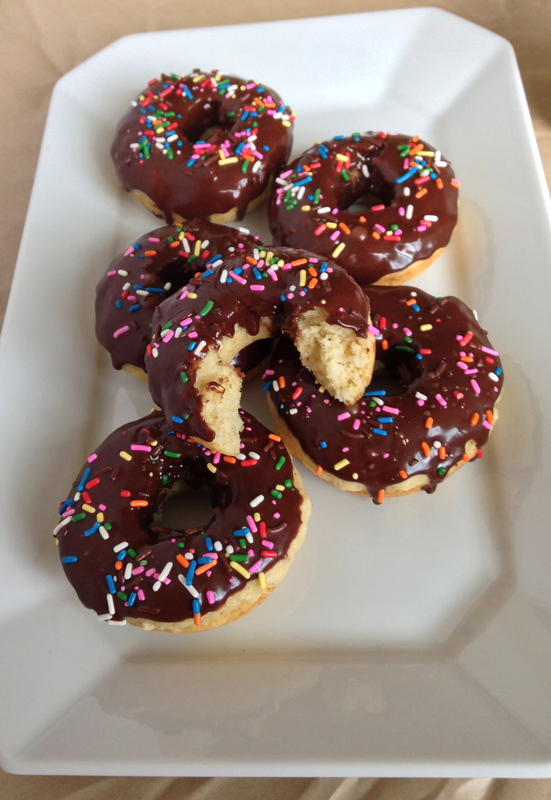 Use a small spoon to place batter into the prepared pan, filling each doughnut ring about ¾ full. Bake for 8 – 10 minutes. Allow them to cool in the pan for a few minutes, then turn onto a wire rack to cool completely. Sift together the powdered sugar, cocoa powder and salt. Add 2 tablespoons milk and vanilla extract. Whisk to combine, and add more milk as necessary to create a thick glaze that is still pourable. When the doughnuts are cool, dip the top into the glaze. Return to the rack, and sprinkle with toppings. Allow to set for 30 minutes (or devour immediately). OK, I’m soooooooooo sold, I am going to have to invest in a doughnut pan STAT! 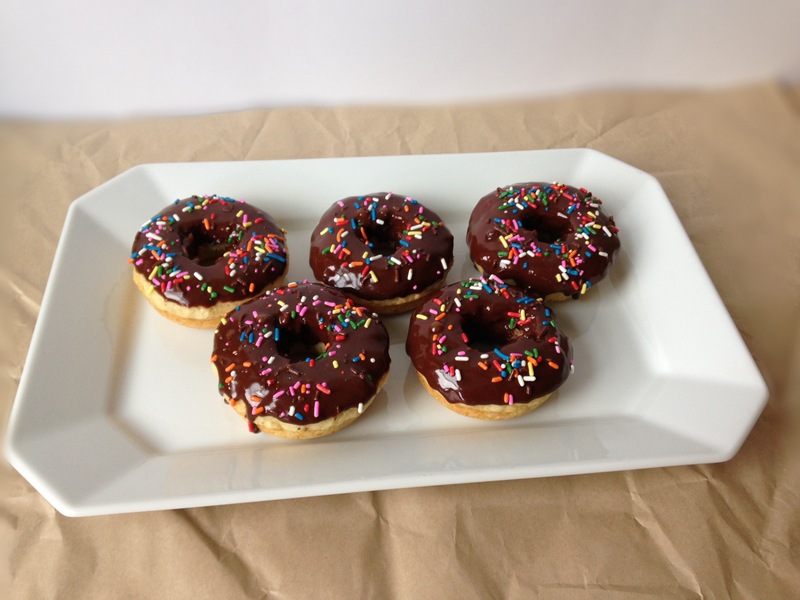 Oh my goodness – I saw that post on Joy the Baker and a couple of days later, went out and bought the donut pan!! My little one was game and so I used him as an excuse. : ) Seriously, those donuts looked so irresistible and I’ll be trying it one day soon…Yours came out great and I’m glad to hear your testimonial! I’ve never made my own yet, but I’m dying to. I am so happy I took the plunge and bought a pan, baked donuts are the best! I’m planning to by one next. I can’t wait. I recently bought a donut pan and now I’m constantly looking for recipes. These doughnuts look amazing! That glaze is calling my name. And yes, sprinkles are a must. Tina, I can’t get enough doughnut recipes! I’m obsessed! 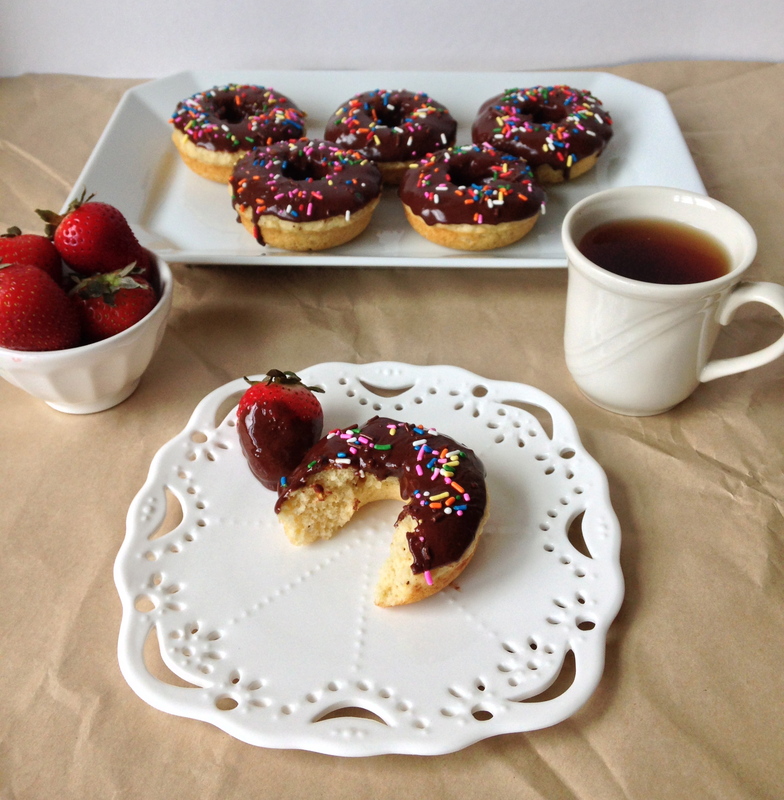 These look really great – how do baked doughnuts compared to fried?